Tinting services at Dyanna Spa in Manhattan, NY will make your eyes and eyebrows stand out beautifully. 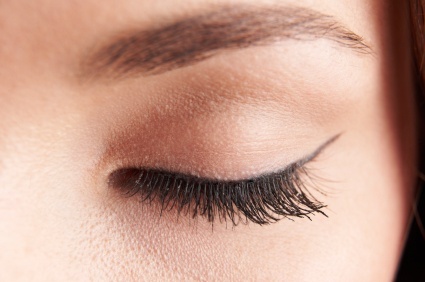 Dyanna Spa in Manhattan, NY provides exceptional eyebrow and eyelash tinting services. Our eyebrow and eyelash tinting is a semi-permanent dye treatment in which we use only organic vegetable-derived tints. With tinting, the true depth of your eye color comes out when we darken your brows and eyelashes. Our estheticians match the tint with the color of your skin and the contour of your face, for the maximum beautifying effect. Schedule an appointment now for your eyebrow and eyelash tinting and have our tinting specialist help you choose the color tint that will best enhance your looks. Dyanna Spa now has two convenient locations offering our superior tinting services. One is in downtown Manhattan, in the Gramercy Park and Flatiron District, and the other is in east midtown Manhattan, in the Murray Hill District. The tinting services at Dyanna Spa in Manhattan, NY will have your eyes looking their very best. They’ll sparkle even more when you realize how inexpensive and easy these treatments are.